Midwest Cooling Towers would like to introduce Noel Ogle. Noel has accepted a position in the Component Sales Department replacing Tom Faulkner, who has accepted a position in the Estimating and Tower Inspections Department. Noel has been in manufacturing for over 30 years, and has been with Midwest Cooling Towers over the past 5 years. Noel started as a material coordinator in October of 2006 and later moved to the Purchasing Department in 2010. His previous work experience includes the position of Plant Manager at Airgas/Medical in Oklahoma City for 3 years. His manufacturing back ground and experience includes 22 years at Gabriel Ride Control/Arvin Meritor, where he held the positions of Business Unit Manager over Strut Production, MRO Purchasing/Maintenance Manager, Maintenance Supervisor and Machine Repair Journeyman. Noel was a facilitator and a presenter for ATQPS (Arvin Total Quality Production System) at Arvin, and also has experience in JIT manufacturing, single source purchasing, as well as many other procedures for streamlining the manufacturing process. Noel graduated from Chickasha High School and attended the University of Science and Arts of Oklahoma, as well as OSU-OKC and Canadian Valley Technology Center. Noel lives in Chickasha with his wife Margie, and they have two daughters, a son and five grandchildren. Midwest Cooling Towers would also like to introduce Sherrie Franklin. Obviously, most of you are familiar with Sherrie as she has been with Midwest Cooling Towers since 1999 working in the Component Sales Department. Her previous work experience includes the position of Project Manager in the Concrete Division at Tower Tech for 5 years, and 15 years in the Oil and Gas Industry. Sherrie is a 1972 graduate of East Central State College in Ada, OK and a 1991 graduate of the OU Law School receiving her Legal Assistant Certificate. 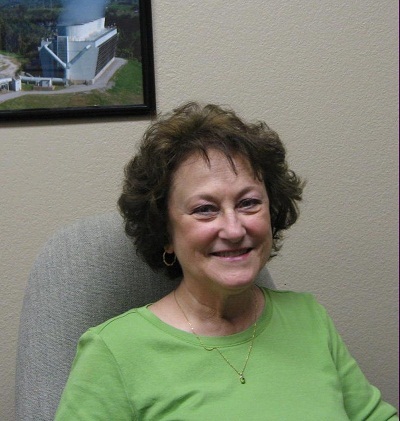 Sherrie has lived in Chickasha since 1979, and is a wife, mother and a proud grandmother. Midwest Towers, Inc., Chickasha, OK, announces the selection of Joe Gende as New Tower Sales Manager. Gende will service customers and direct Midwest Towers’ new tower sales and marketing efforts throughout North America and the world from his office in Houston, Texas. Following completion of engineering school in 1988, Joe spent ten years in the construction and water supply industries concentrating on well drilling, pump equipment and sales management. In 1998 Joe began his career in the cooling tower industry as a project manager for Midwest Towers progressing into sales of new towers during his tenure. Next was a sales and product management position with Niagara Blower, manufacturer of customized cooling towers for special process cooling needs. Joe and his family then returned to Texas as an independent sales representative for over 20 leading manufacturers of various heat exchanger products including cooling towers. Since 2006 Joe has worked for GEA Group developing business opportunities in all market sectors for modular & field erected cooling towers including aftermarket repair services throughout North America. Joe and his wife live in Houston, Texas. They have son in high school and a daughter in college. 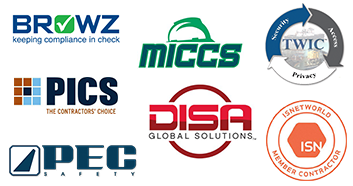 Midwest Towers, founded in 1987, is a complete cooling tower engineering, manufacturing and construction company. They provide new cooling towers, maintenance services and replacement parts for all makes and models of evaporative water cooling towers serving industrial and power applications. Midwest Towers is also a leading manufacturer and supplier of fiberglass fan stacks and pressure treated cooling tower lumber for many cooling tower contractors and original equipment manufacturers (OEM’s) around the world. There have been some changes in the Component Sales Department at Midwest Cooling Towers over the past couple of weeks. Tom Faulkner has accepted a new position within our organization in the Estimating/Inspection Department. Noel Ogle will be replacing Tom in the Component Sales Department. Click on this link to view a PDF document providing a brief introduction to Noel. He is not new to Midwest Cooling Towers, as he was previously in the Purchasing Department and worked on our Flue Gas De-sulfurization projects prior to that. Noel will be transitioning over the next couple of weeks, with Tom’s help, and will be the new Sales contact for all of Tom’s customers. Noel’s extension number will be 112, the same as Tom’s was, which should simplify the navigation of the phone system for those customers affected by this change. We are very excited about Noel’s involvement in our Component Sales Department. He brings an excellent skill set to the position as he has worked in the contractor trade for much of his life, which will allow him to mesh well with our diverse customer base. We also wanted to take this opportunity to reintroduce Sherrie Franklin, also in the Component Sales Department. Sherrie has been with us for many years, but we understand some of our customers have never met her, so we are also providing a brief introduction to Sherrie in the attached document. For those customers who have worked with Sherrie in the past, she needs no introduction, and we are excited about her continuing efforts in the Component Sale Department. As of March 29, 2012 Midwest Cooling Towers is moving their Kansas City area offices. Please update the contact information you have. The phone numbers and email addresses will remain the same.